We have a ton of squash and zucchini coming out our ears right now. Unfortunately, I found out AFTER I planted several plants that my husband hates both! So, I’m left with a ton of squash to eat up (or give away). This has me on a mission to find a way that my husband will eat squash and zucchini. I mean, really? Doesn’t this look delicious? 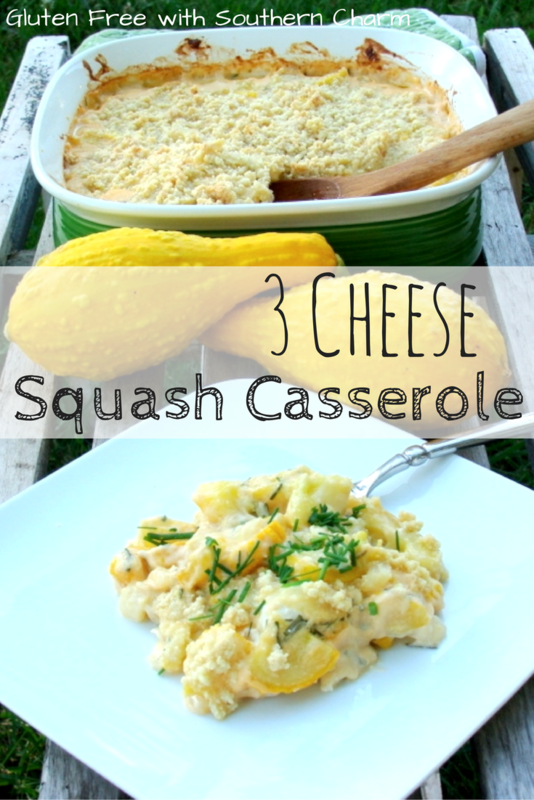 Truth be told, I was hoping that the cheese would be an attraction for my husband and that he would miraculously fall in love with squash and this casserole. How you could NOT want to dig into this cheesy casserole? How could you not love it? Well, if you’re name is John, then it’s apparently pretty easy! As of right now, I am still a failure with my husband’s taste buds, but I am able to scarf the leftovers without feeling like I’m greedy! Don’t let my husband’s warped palate discourage you. This is so yummy and I had more than my fair share at dinner. For all my Trim Healthy Mama‘s, this is a great side for an S meal if you use the almond flour topping. Saute squash and onions in butter, until soft and onions are beginning to caramelize. Transfer to a mixing bowl and mix with cheeses and sour cream. Add salt and pepper to taste. Place in greased/sprayed casserole dish. Crush crackers or corn flakes and mix with 1 stick of melted butter. Spread over the top of the squash. *If you are using the almond meal, only use 1/2 stick of butter for the topping mixture. I love stuffed foods – chicken kiev, chicken cordon blue, stuffed burgers, Hot Pockets. Well, maybe not Hot Pockets! But, I do love cutting or biting into stuffed meats and having the cheeses and spices create an explosion of flavor in my mouth. The only bad thing is having to do the stuffing. It can take the majority of your prep time to stuff and roll the ingredients into a burger patty or chicken breast. Then, you have to contend with the mess that oozes out that may or may not leave the meat dry and tasteless. This is where “hasselback” comes in. This is a term that is generally associated with potatoes – named after the Hasselbacken restaurant in Sweden which was known for the fan-cut potato dish. I find, though, that this technique makes cutting and stuffing chicken so much easier! 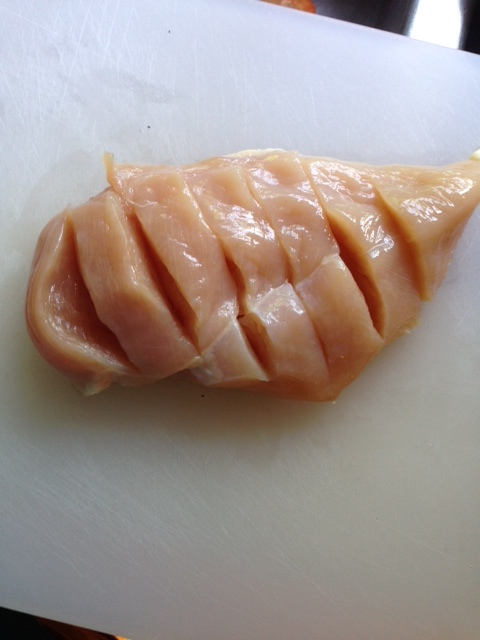 To start, make width-wise cuts along the chicken breast and approximately 1/2 inches apart. (Be careful to not cut all the way through the chicken.) There should be about 6 incisions, depending on the size of your chicken breast. You will want to go slowly on the first chicken breast; but once you get the feel of cutting the first, the rest of them will go very quickly. 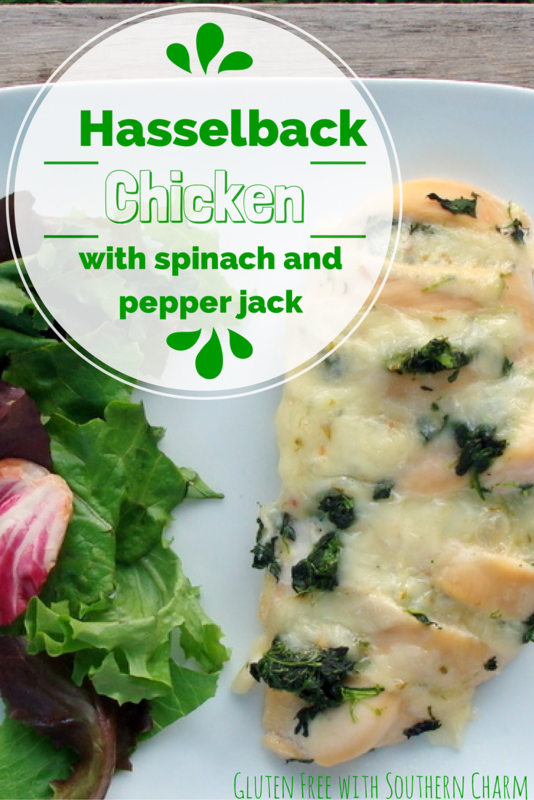 Using approximately 2oz of spinach and 1 slice of pepper jack for each piece of chicken, stuff the spinach into the cuts, leaving a bit of room for the pepper jack cheese. Then, break up the cheese into smaller bits, placing on top and beside the spinach. It’s ok if the spinach and cheese are not completely in the cuts. This gives it some character! 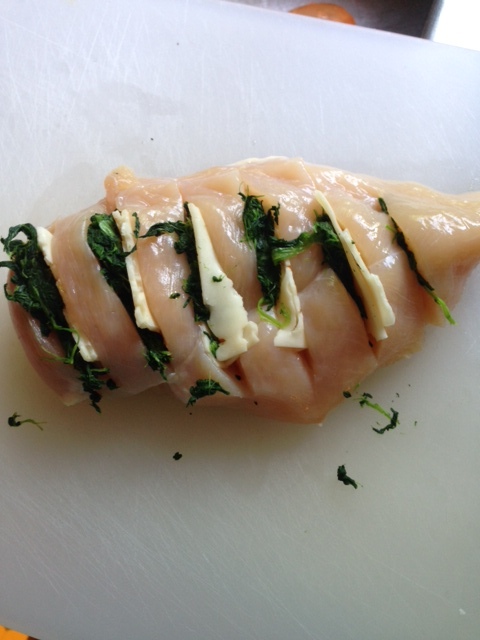 Place each chicken breast into a 9×13 dish. Salt and pepper to taste. We love this served up with broccoli, rice pilaf, and salad. 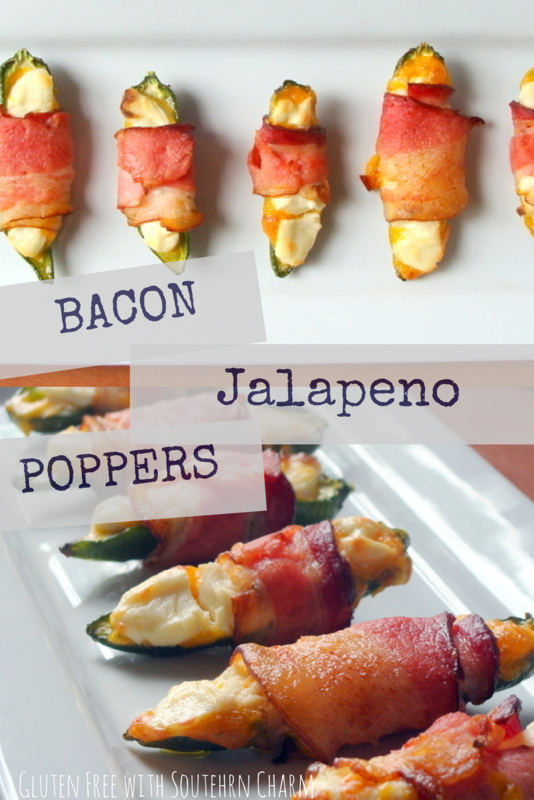 This yummy recipe is linking up at Weekend Potluck. Check it out! Needless to say, I’ve been desperate to find a comparable replacement for my starchy french fries. So, I grabbed a jicama (HICK-ah-muh) the other day and decided to see if it would pass the replacement test. I’d seen plenty of jicama fry recipes online, so I was hopeful. To be honest, it still doesn’t fool me enough to think that I’m eating real American fries; but it does make a unique side dish, especially if you are in the mood for something different. Give it a try the next time you grill burgers or have a BBQ. It will definitely get the conversation going! For all of my THMers out there, this would be a perfect side for an S-meal! Preheat oven to 400. Cover a cookie sheet with foil, and grease lightly (enough so the fries will not stick). In a mixing bowl, drizzle olive oil on jicama and toss, sprinkling spices onto fries as you go, until well coated. 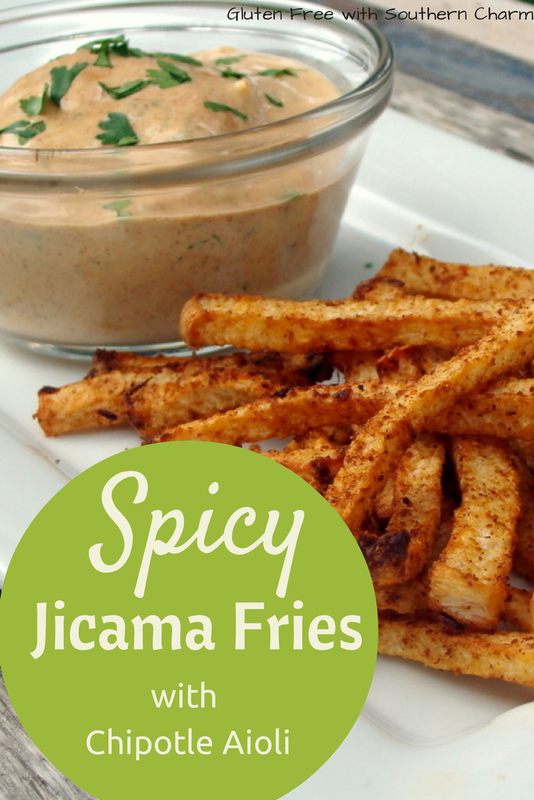 Place jicama fries onto cookie sheet and bake for approximately 40 minutes. While jicama fries are baking, begin mixing up your Chipotle Aioli. Refrigerate until time to use. The first time I made jicama fries, I over-baked them. I was trying to get them to have a crisp outside and soft center. Jicama does not do this. It stays somewhat crunchy on the inside. Just a note, so that you don’t burn your first batch like I did! Strawberries have always been near and dear to my heart. I loved watching Strawberry Shortcake when I was younger. I had the Strawberry Shortcake doll which I loved to pieces (literally). I could eat myself sick on strawberries. I even begged my mom to take me strawberry picking so I could get real strawberries – which she did, at 9 months pregant. 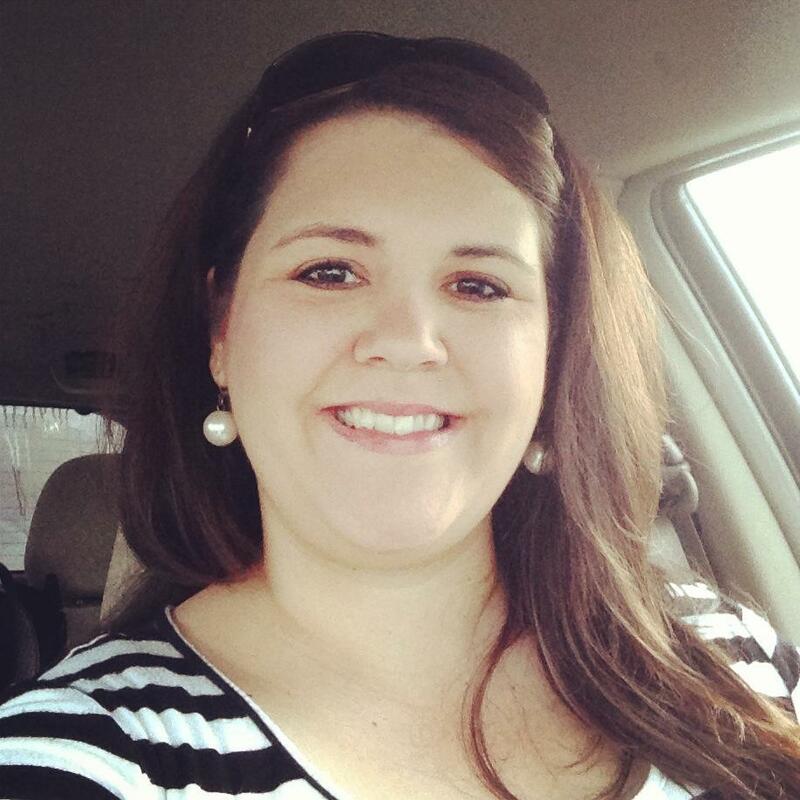 Side note: The woman deserves a round of applause, y’all. She was scooting along the ground picking berries when she was 9 months pregnant – at the end of June! And she did it because it was my birthday wish that year. So, strawberries. 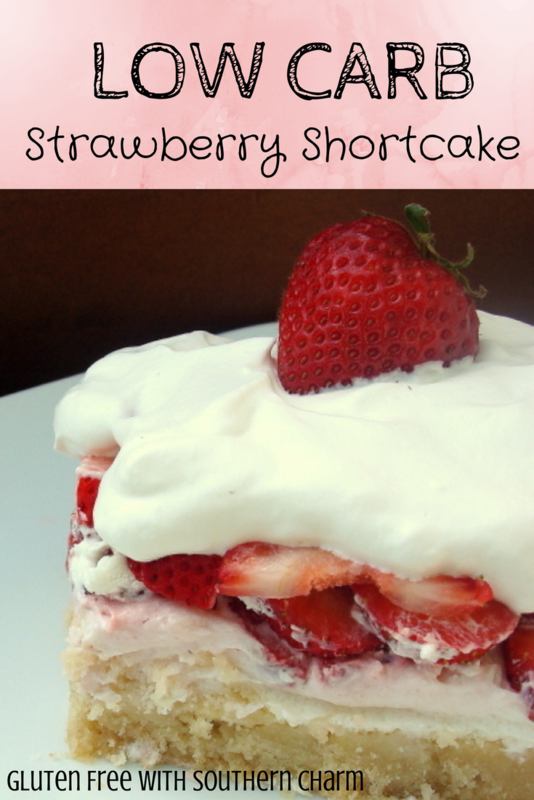 For me, nothing is better in the summer than strawberry shortcake. Our traditional strawberry shortcake included frozen berries, Cool Whip, and the Hostess shortcake cakes (that you really can’t find anymore). Later, we moved on to Sara Lee pound cake. Oh so delicious. I drool just thinking about it! Chill a metal bowl and beaters prior to whipping the cream. When chilled, beat 1 pt whipping cream, 1/4 cup Erythritol, and vanilla until you begin to get soft peaks. *Do not over beat or it will become too stiff. Try to get to the consistency of Cool Whip. **For best results, grind 1/4 cup of erythritol into a powder. Then, use 1/4 cup of the powder. This will make the whipped cream smoother. Stir together the butter, almonds, and almond flour. Press into the bottom of a 9×13 dish. Bake at 350 for 10 minutes or until golden brown. Cool completely before adding additional layers. **This should be a rather solid layer. If it looks too buttery, chances are you need to bake it longer. Mix the cream cheese, 1 cup Erythritol, and 1 cup whipped cream; spread onto the cooled shortcake. So, I obviously haven’t been around in a long while. Things have been crazy hectic at school and at home. Half the time I don’t know if I’m coming or going; if I’m awake, asleep, or somewhere in the middle of Zombieland. I’m pretty sure that we have been at home one weekend out of the last 2 months. INSANE! Even for our normal schedule. I’m so sorry for the absence. Here’s hoping this recipe will make it up to you! I recently started a diet called Trim Healthy Mama. To simplify it in the easiest way I know how, it’s essentially a low-glycemic diet. You can pretty much each whatever you want, however you avoid eating carbs and fats together. I love it. I am eating delicious food, drinking yummy drinks, and snacking on cheese, fruit, and even chocolate muffins. The best thing about this diet is that the foods within the “S meals” (the fatty, or satisfying, meals) are naturally gluten-free. So, more than likely, you will see many more of these S Meals popping up here. One thing that I have really missed since going gluten-free are egg rolls. 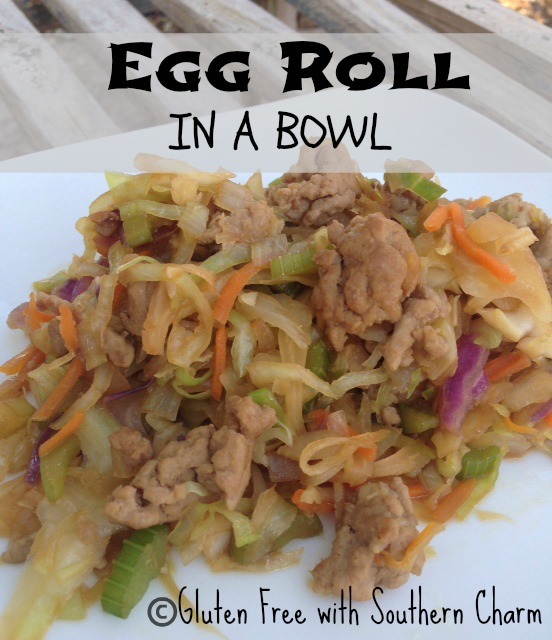 There is just something so delicious in the mixture of fried wrapper, pork, cabbage, onions, and celery. 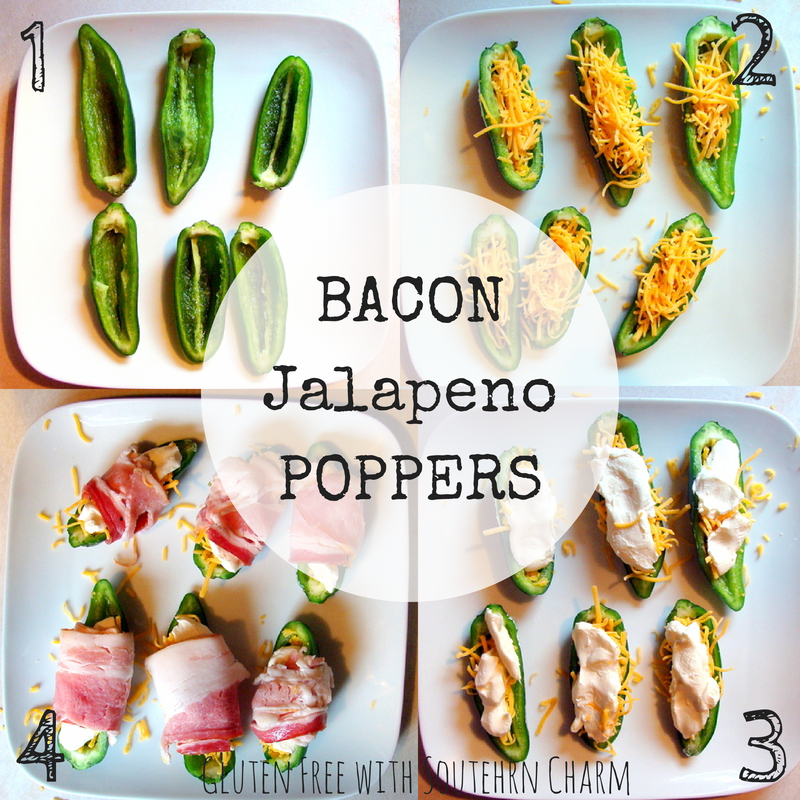 So, you can imagine my joy when I came across this recipe at Intentionally Domestic. Thank you Pinterest for assisting in this discovery!! 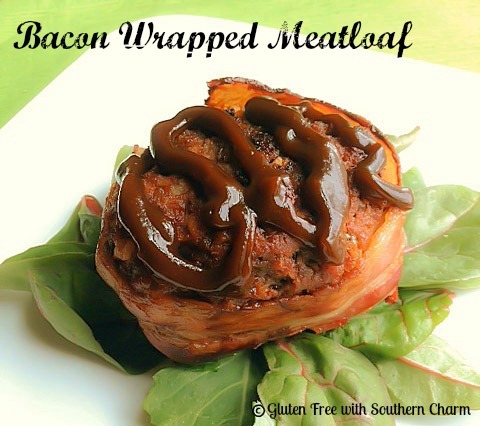 This recipe is so very close that if I close my eyes, I can imagine I’m having the real thing! **I did add my own tweaks and per a suggestion from a busy mom, I opted for the precut and measured cabbage (probably the BEST suggestion I have received lately!). Cook the ground pork until done and remove from pan, leaving the drippings. Add onions, garlic and celery to the pan and saute until nearly cooked through. Add the coleslaw mix and continue to cook about 15 minutes, then mix in cooked ground pork. Add the freshly grated ginger, tamari sauce, and rice vinegar. Allow to simmer for 5-10 minutes. **This is also nicely complimented with some Sriracha sauce. It gives it a nice kick! Back before I got married, I had a wonderful roommate. However, we were as different as night and day. I was/am an introvert. Quiet and pretty shy until you get to know me. Amy? Well, I seriously doubt she’s ever met a stranger! And if I’m an introvert, then she is the poster child for extrovert. Yet, strangely, we were a great combo. We’d cook and grocery shop together, have game nights at the house, bonded over So You Think You Can Dance, and would often have cleaning/dance parties. Seriously, I couldn’t have asked for a better roomie. Typically, we would make our delicious creations together; but one night, I was late getting home. When I walked in, she had this dish ready to eat while we watched the newest episode of Grey’s Anatomy, Chuck, or whatever was on our schedule for the night. It’s an incredibly simple dish and while it sounds somewhat strange…just like me and Amy, the ingredients are a fantastic combo! 1) Heat oven to 350. 3) Take chicken out of the oven and drain the liquid from the bottom of the dish. 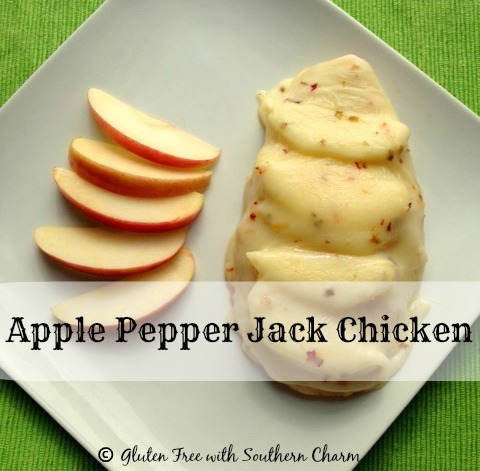 4) Lay the apple slice over the top of the chicken and cover the apples with the cheese. 5) Place back in the oven and bake for another 10-15 minutes. If you are following the Trim Healthy Mama lifestyle, this would qualify as an S meal since there is only 1/4 apple on each chicken breast. This is not enough to push it into crossover territory. We love potatoes in this house. Actually, my husband loves potatoes…because that’s the only “vegetable” the man will eat. I try, folks, I really do. But, 40 years of bad habits is hard to break!! Anyway, I saw this recipe and wondered if I could fool him into thinking it was hash brown casserole. It was pretty close, honestly. Had I added more salt, and not told him it was spaghetti squash BEFORE he had eaten all of his serving, he would have probably eaten more of it the first night. However, the next night, I added more salt with the leftovers and he actually ate it…and said I could make it again! This fake-out was a win! 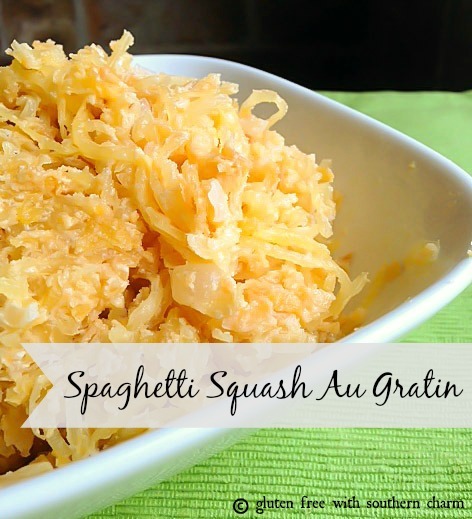 Cut the spaghetti squash in half and remove the seeds. Place in a dish with a ¼ inch of water; microwave for 10 -12 minutes. While the squash is cooking, saute the onions until they are a light brown. Use a fork to scrape the insides of the squash into a medium bowl, then mix in the onions, cheese, and sour cream. Salt and pepper to taste. Bake at 350 for 2o minutes.